Landscaping enthusiasts enjoy creating gardening concepts that emulate Mother Nature by incorporating natural settings complete with waterfalls and even some wildlife. Our San Luis Obispo landscapers offers a variety of comprehensive water feature packages. When you choose certified professionals to install and maintain your water feature, your only objective is to sit back and enjoy your very own little piece of paradise! Dan’s Landscaping Company specializes in the installation of both residential and commercial San Luis Obispo Water Features. Our products include water gardens, waterfalls, artistic rock, fountains and landscape improvements all designed to suit your personal taste. Want the smooth sound of flowing waters? Ad a classic fountain or even a small spring designed to look completely natural. Water gardens provide a lush environment where new various types of fresh flowers and plants can be planted in your landscape. New, vibrant colors abound to create the ultimate center piece for your landscape. Choosing the correct type of plants for your size and type of waterscape ensures trouble free operation and maintenance of your water feature. 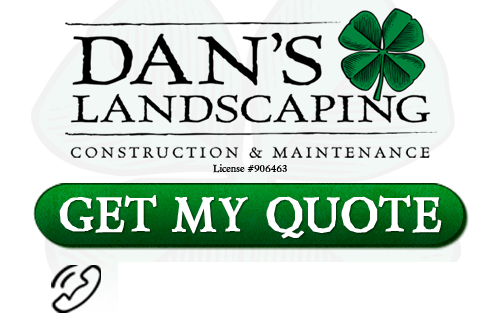 Dan’s Landscaping Company consultants can give me you endless options to choose from and make suggestions that will help you with your design. If you want a natural looking waterfall in your landscape without the addition of caring for a pond, then check out waterfalls designed by Dan’s Landscaping Company. 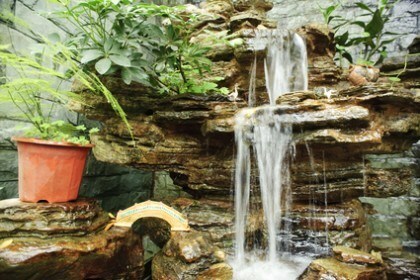 We offer custom waterfalls and fountains which are low maintenance and child friendly. Just like many of our other products, fountains & water ponds are available in numerous styles, materials and colors. If you are looking for professional San Luis Obispo Water Features then contact Dan’s Landscaping Company at 805-550-5488 or complete our online request form.